The JAE Company proudly remodels and designs bathrooms for Ohio homeowners in Westerville, Upper Arlington, New Albany, Dublin, Lewis Center, Powell, Worthington and Bexley. Whether you’re looking for something modern, traditional or contemporary, our bathroom design experts have you covered. 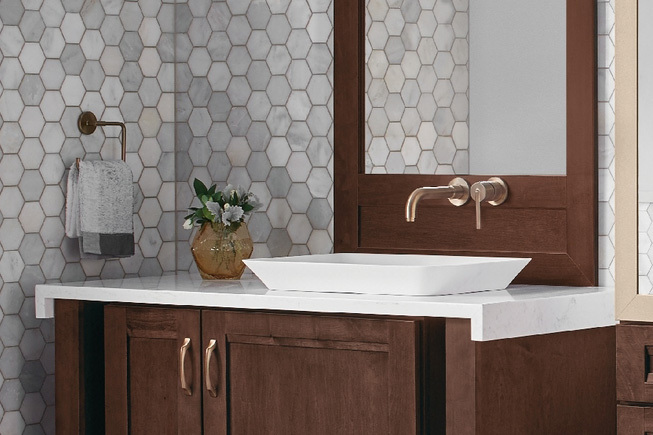 Our a wide selection of bathroom vanity options, and countertops (as well as our proven bathroom remodeling experience) will not only upgrade your daily routine but also leave you with a bathroom you'll love for years to come. No matter the bathroom project - from modest powder rooms to spacious master baths - we'll help you create a functional and beautiful space that reflects your style. Searching for some design inspiration? Explore pictures of Columbus area bathrooms we've recently designed or remodeled. 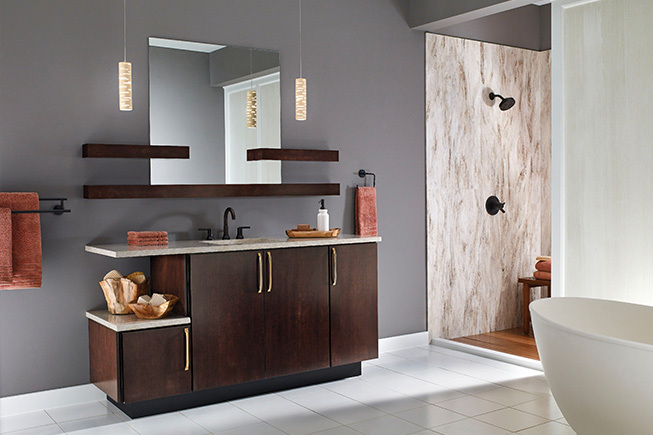 You're also welcome to visit our showroom near you to see some current bathroom design trends. And once you're ready to take the next step toward remodeling your bathroom, schedule your free bathroom design consultation with one of our experts today by calling 614.392.4466 or filling out the form below. Our design staff will guide you through the bathroom countertop selection process and help you decide which granite, quartz or laminate is right for you and how it relates to the other components of your bathroom space. Our experienced designers will guide you through the bathroom cabinet and vanity design process. The collaborative process we employ considers your daily living practices and the latest in cabinet design and functionality! Thank you! One of our bathroom design specialists will contact you shortly.